From roofing repairs to full roof replacements, we have a wide range of materials including asphalt shingles, wood shingles, composite shingles and more. We will truly personalize your home and add value to your property with a custom designed and expertly installed kitchen or bathroom renovation. On beautiful summer evenings, enjoy the company of friends and family under the night sky on a new custom built patio or deck. Welcome to Total Exteriors, LLC. We are a locally owned Branford roofing and remodeling company providing residential roofing and remodeling services to all of New Haven County including the towns along the coastal corridor from East Haven up to New London. Our owner, Dana Mickelson, is dedicated to helping you with your roofing or remodeling project. He will assist you in repairing and improving your home with honesty, quality and affordable prices. Dana and his team are here to help you, the homeowner, through every step of your roofing or remodeling project by taking away your stress and making it an enjoyable and easy process for you and your family. Since 2002, Dana and his team at Total Exteriors, LLC have been providing superior quality home services to residential clients just like you. 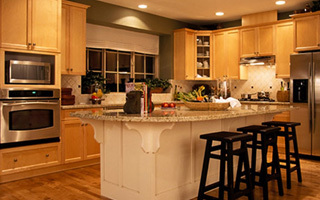 Our Branford remodeling contractors are dedicated to creating beautiful living space for your family, and doing so with great customer service and attention to detail. Dana and his professional staff are ready to help with everything from initial planning of your residential remodeling project through the final clean up and walk through. His commitment to quality remodeling is only matched by our dedication to your complete satisfaction. Professional Roofing, Siding, Home Additions, Kitchen Remodeling & Bathroom Remodeling in Branford, CT and the Surrounding Areas. Whether you're looking for a classic, country kitchen or sleek, modern design, our skilled kitchen remodeling designers and installers have the experience to build your new kitchen. Our well-trained kitchen remodel staff have an eye for design and pay attention to the smallest of details. Perhaps it is time for that old bathroom to get the cosmetic updates it needs to catch up with this century. Or may be you're looking to convert a half bath into a full bathroom. 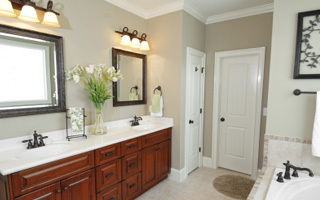 No matter what you have in mind, our bathroom renovation specialist will spend the time to get the job done right. We specialize in siding. From basic siding repairs through siding replacements, we have a wide range of material style and colors to create a one-of-a-kind first impression for your home. Improve your curb appeal with new siding. Aside from the newer look, older windows and doors may be drafty and energy-ineffecient. The money you spend keeping your home comfortable all year long may be going to waste! Let us recommend the best options for you. Instead of finding a new home, take full advantage of your property by adding on to your home. We can help to convert garages into extra living space, or append new additions to your home to create new bedrooms or a home office. 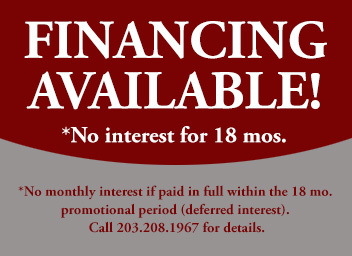 If you are looking for a Branford roofing or remodeling contractor, then please call 203-996-4265.